Barack Obama’s second and final term as President of the United States is coming to an end this week, so right now is an appropriate time to talk about the best trends we saw in the realm of films during his tenure. This is an interesting exercise to do with any president in the past century, especially ones who served for eight years and, thus, had a longer amount of time to influence or reflect the overall mood of the country. Let’s jump right into it and count down the top 10 film trends from the Obama years! After X-Men Origins: Wolverine, Fox decided against doing other spinoff stories and to simply reboot and revitalize their core series with new actors. 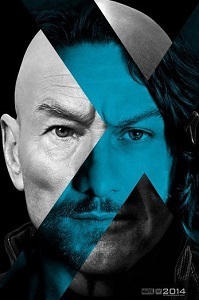 The gamble paid off, and we got two superb films: X-Men: First Class and X-Men: Days of Future Past. Who knows what the future holds for the series, but if Deadpool is any indication, there’s definitely a market for oddball X-Men movies far into the future. We’ve seen excellent remakes of already-superb old westerns, like True Grit and The Magnificent Seven. We’ve also seen unconventional westerns like Hell or High Water, The Revenant, and Quentin Tarantino’s Django Unchained and The Hateful Eight. A Million Ways to Die in the West, Cowboys and Aliens, and The Lone Ranger were all quite terrible, but they haven’t detracted from the luster of the western genre. 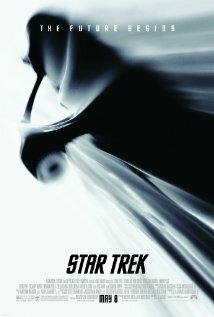 Star Trek (2009) set the stage for a more fun and action-oriented type of Trek film. Star Trek Into Darkness left some fans cold in its attempt to recapture the old greatness of previous storylines. And Star Trek Beyond felt like it perfectly toed the line between nostalgia and the energetic new take on Trek. We’ll have to see what’s in store for the series when it returns to the small screen and the big screen in the coming years. But it seems to be slowly finding itself again. Ben Affleck’s star dimmed for a few years after his disastrous 2003. But he returned in a big way by writing, directing, and starring in 2010’s The Town. Sure, he had written and directed 2007’s Gone Baby Gone, but that wasn’t exactly a box-office breakout hit. The Town is what revitalized Affleck’s career and showed what he was really capable of. He followed that up with 2011’s Oscar-winning historical thriller Argo. And now he’s set to direct the upcoming The Batman. His seamless transition to the director’s chair while also regaining his status as an A-list actor has been nothing short of inspiring. DreamWorks had been kind of the ugly stepchild of Pixar for its first decade or so. But all that changed in 2010. That year saw the debut of How to Train Your Dragon. 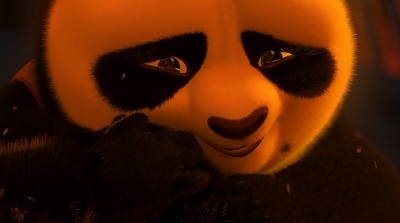 Then the next year they released Kung Fu Panda 2. Those two films made me finally take that studio seriously. Those are two of the best animated films ever made. DreamWorks hasn’t had a perfect track record since those two films, but they’re definitely doing something right to be just about on par with Pixar. Speaking of Pixar, it has had a few great films in the last eight years, but most of them have been surprisingly mediocre. Disney, on the other hand, has been knocking it out of the park just about every time they put out a new animated feature. 2009’s The Princess and the Frog kicked off Disney’s return to excellence in the animated sphere, following it up with superb films like Tangled, Wreck-It Ralph, Frozen, Big Hero 6, Zootopia, and Moana. Sure, Mars Needs Moms was a colossal failure, but other than that Disney has been on an astonishing hot streak. We’ve been spoiled rotten with intelligent takes on science fiction lately. Inception was a mind-bending look into the human psyche. 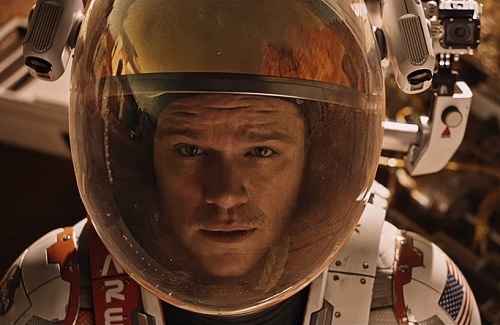 But other sci-fi epics have ventured further into outer space with such fare as Gravity, The Martian, and Interstellar. Arrival was a clever combination of outer and inner space, presenting the challenge of communicating with alien visitors while also exploring heavy concepts like death, family, fate, and even a little time travel. Remember when men were men, and they got to rack up gigantic body counts in their films? Well, Tom Hardy and Chris Pratt seem to be the vanguard of a return to those kinds of awesome action heroes. Mad Max: Fury Road saw the triumphant return of director George Miller and his seminal creation Mad Max. Miller had done a bunch of kids films, but this was the first time in decades that he had done an action movie, and he delivered something that set a new benchmark for action movies. Hardy’s quietly stoic performance is a nice callback to previous examples of action heroes. Meanwhile, Chris Pratt’s laidback, musclebound characters in Guardians of the Galaxy and Jurassic World call to mind the likes of Harrison Ford in his heyday as Indiana Jones. He’s sarcastic and world-weary while also looking like’s he’s having at least a little fun as he goes on his adventures. Marvel-style universe building has made its way to a galaxy far, far away. 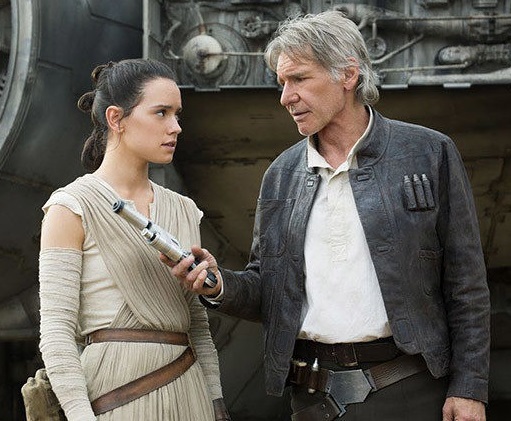 2015 saw a return to greatness in the form of Star Wars: The Force Awakens, which is the seventh episode in the series. Then last month we got Rogue One, the first of numerous planned spinoff films that will delve into different characters and storylines that went unexplored in the Original Trilogy. This kind of one-two punch of familiar episodes with new spinoffs ensures we’ll get a hefty dose of Star Wars every year as far as the Jedi can see. Iron Man and The Incredible Hulk debuted in 2008, before Obama was elected or took office. But those were really just the shaky start of what would become the unstoppable moneymaking machine known as Marvel Studios. The next few years saw the arrival of the underwhelming Iron Man 2 and Thor, as well as the excellent Captain America: The First Avenger. But all of this was just a quiet prelude to the ultimate superhero crossover film, The Avengers. Since that apex, Marvel has just been basking in the afterglow of its glorious creations. Each new film in the series is fun and building up to what is sure to be the greatest thing ever when we finally get to see Avengers: Infinity War hit the silver screen. What does this all add up to? What is Obama’s legacy on pop culture? It’s not as easy to pin down as, say, Ronald Reagan’s. A lot of what was great about the last eight years has been Hollywood’s ability to look back at what worked in the past and make it interesting again. But this kind of nostalgia factor can’t last forever, and eventually they’ll need to do something other than reboot old franchises. Something that’s new is the emergence of YA films that constantly hammer home the idea that Millennials like me are special, even if we haven’t done anything particularly deserving of praise, a la Bella Swan. Or that we simply need to pretend to be something we’re not in order to get attention and fool people into rooting for us, a la Katniss Everdeen. And so on with the Maze Runner and Divergent films. Let’s hope that phase dies out soon. I should also mention that the war films, such as The Hurt Locker, Zero Dark Thirty, American Sniper, and Lone Survivor, have been fine, even though they’re not really my cup of tea. Whatever President Obama’s legacy is in Hollywood, it’s been a pleasant enough ride. Even though we haven’t exactly broken much new ground, it’s been fun to look back and reminisce about past greatness. After all, that’s a lot of what I do on this website. This entry was posted in Random Stuff and tagged action movies, barack obama, ben affleck, comic books, disney, dreamworks, films, marvel comics, movie review, movies, science fiction, sequels, star trek, star wars, united states, western genre, x-men. Bookmark the permalink. Inertstellar is *far* from intelligent. The crew journeys to a world plagued by skyscraper tidal waves and no discernible land mass for agriculture – and they waste all that time going there first. The rocky, earth-like planet? Nope, save that for last. In the interim, let’s go to a world so frozen, even the clouds are made of solid ice, because that’s a veritable bastion of sustainability. Did these people have NO information on where they were going? If they did, why even go to the uninhabitable places? If they didn’t, why not scout a little and find a more promising area for colonization instead of landing in disaster zones? How are humans supposed to survive there? And that’s the whole point of their journey! The movie tries to be smart, but falls apart like a house of feathers after a mild sneeze. And that’s *before* the utterly goofy and preposterous climax.